Installation art is in a precarious state. 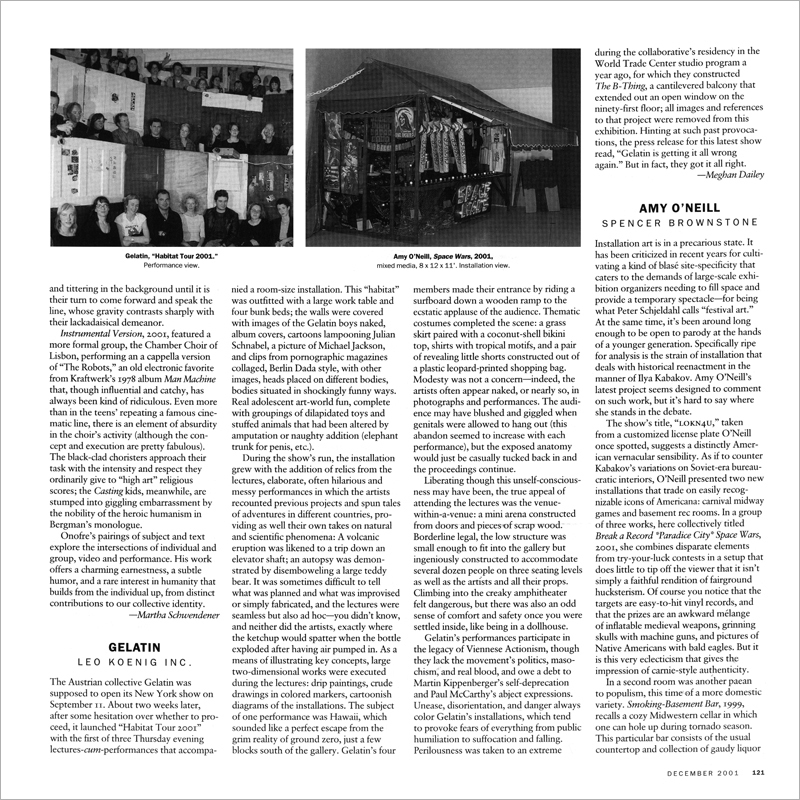 It has been criticized in recent years of cultivating a kind of blasé site-specificity that caters to the demands of large-scale exhibition organizers needing to fill space and provide a temporary spectaclefor being what Peter Schjeldahl calls “festival art.” At the same time, it’s been around long enough to be open to parody at the hands of a younger generation. Specifically ripe for analysis is the strain of installation that deals with historical reenactment in that deals with historical reenactment in the manner of Ilya Kabakov. Amy O’Neill’s latest project seems designed to comment on such work, but it’s hard to say where she stands in the debate.